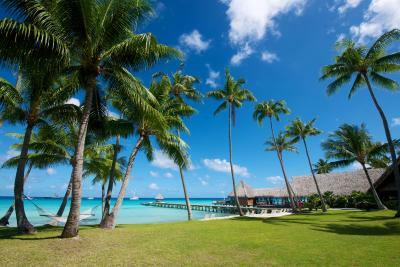 Lock in a great price for Hotel Kia Ora Resort & Spa – rated 8.7 by recent guests! 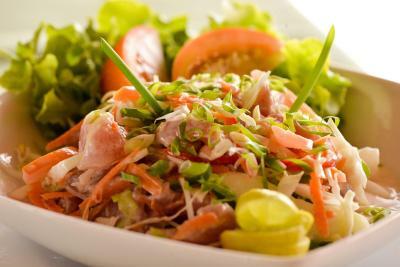 Superb service, good food and beautiful rooms with easy activity scheduling onsite. The hot tub on our deck overlooking the lagoon was awesome. The beach front bungalow was amazing. 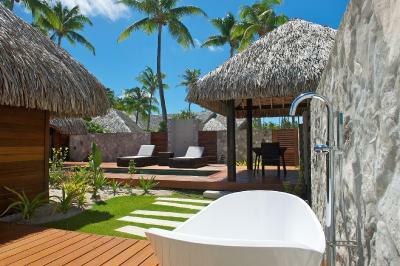 I loved the outdoor bathtub. Very nice staff. Very good food. Dive center on property. Best access to some of the best diving in the world. Top Drive was great. Enjoyed the excursion to the winery to taste wine & rum. 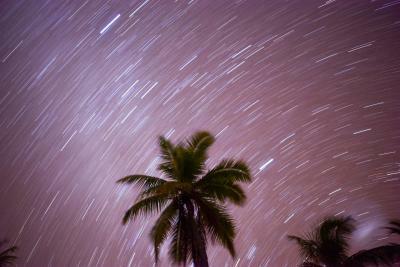 We would consider returning, but would avoid the on-beach bungalows, bring lots of bug repellent, and with an understanding that with these more remote island retreats sometimes you must settle for "OK". Super hotel!!! 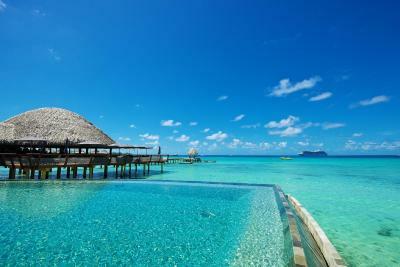 The view is fantastic, Very nice location, beautiful installations, good maintenance, overwater bungalows are wow!! 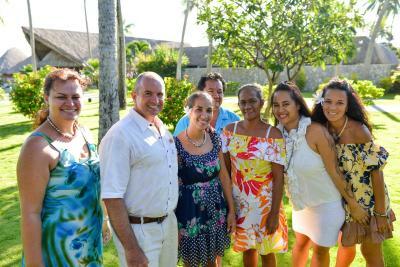 Staff friendly and always ready to help you. 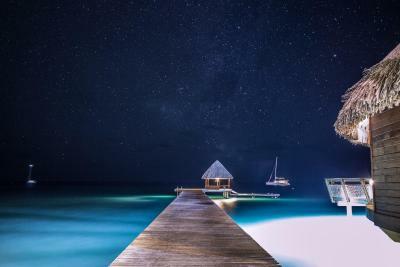 We went to Rangiroa in our honeymoon to dive and were very lucky that the dive center was inside the hotel- perfect the boats leave from the hotel pier. Is very good that they pick you up at the airport also. 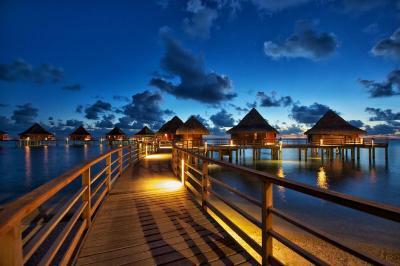 Lovely view from over-the-water-bungalow. 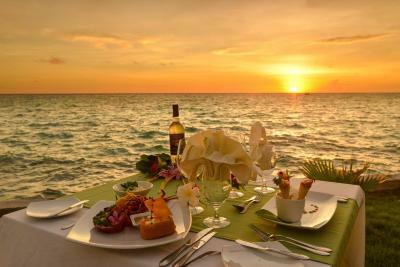 Setting is lovely for entire place. Nice room, comfy bed and nice shower. Food quality sufficient but not memorable. 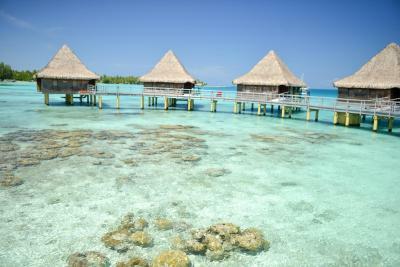 Once I upgraded to an over the water bungalow it was an excellent stay. Sebastian in the restaurant was a super nice guy. My wife is vegetarian and he made an extra effort to accommodate her. Most of the staff were very welcoming. 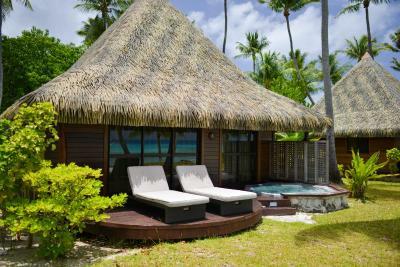 Hotel Kia Ora Resort & Spa This rating is a reflection of how the property compares to the industry standard when it comes to price, facilities and services available. It's based on a self-evaluation by the property. Use this rating to help choose your stay! 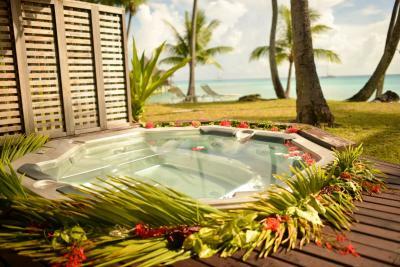 Offering a spa center and fitness center, Hotel Kia Ora Resort & Spa is located in Avatoru, in the northwest part of the Rangiroa Region, which is a 1-hour flight from the islands of Tahiti or Bora Bora. 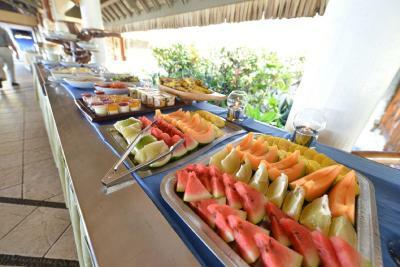 Guests can enjoy the on-site restaurant and free WiFi. 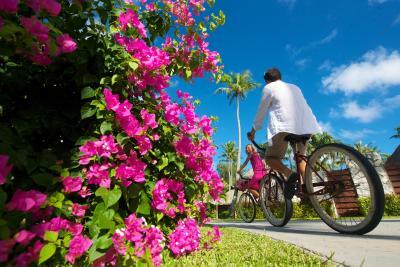 There is free shuttle service, babysitting service, concierge service and shops at the property. 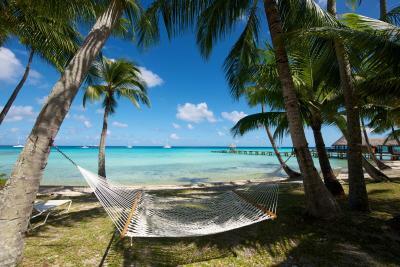 A number of activities are offered in the area, such as scuba diving and drift snorkeling to a Rangiroa vineyard. 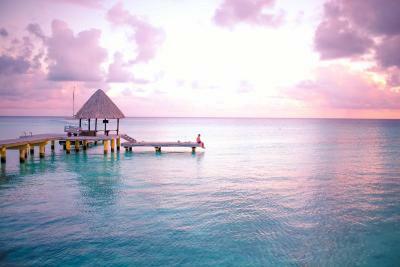 Tours of the Blue Lagoon or the Pink Sand Beaches can be arranged. 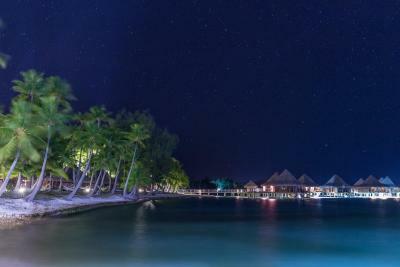 When would you like to stay at Hotel Kia Ora Resort & Spa? 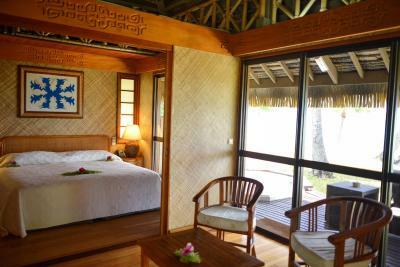 This Polynesian style, wooden bungalow features a terrace overlooking the lagoon. 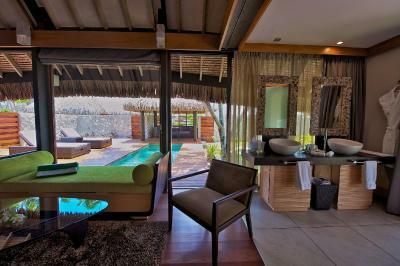 It also includes an outdoor hot tub, tea/coffee making facilities and a bathroom with a shower. Adapters are available on requests. 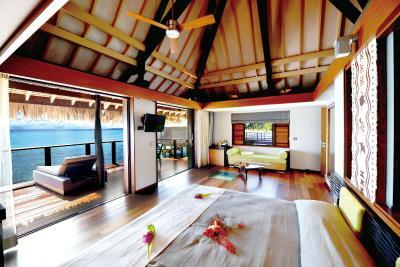 This over-water bungalow is located in the beautiful lagoon. It includes a terrace. 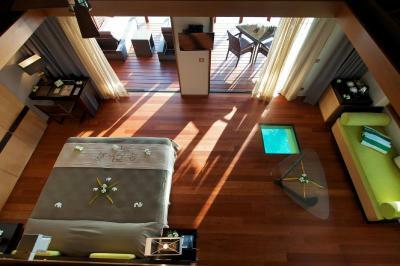 The bedroom/living room is spacious and modern. 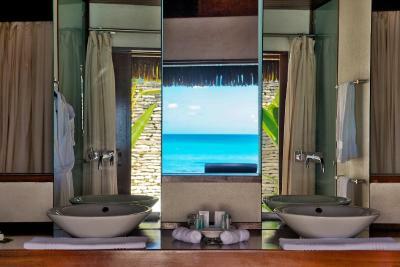 The private bathroom has both a shower and a bath. Adapters are available on request. 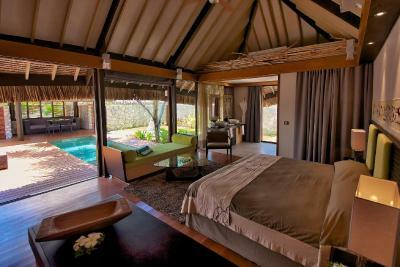 This suite features a private pool and garden. It also includes an undercover patio, tea/coffee making facilities and 2 bathroom with a shower. An outdoor bath is provided. Adapters are available on request. 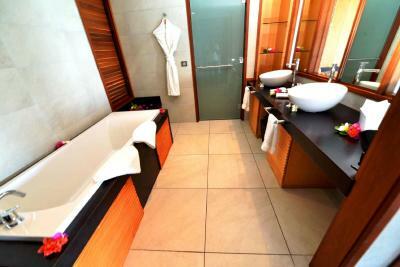 This suite features a private whirlpool, tea/coffee making facilities and a bathroom with a shower. Adapters are available on request. 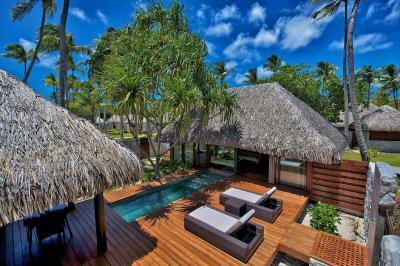 This bungalow features a private pool and garden. It also tea/coffee making facilities and a bathroom with a shower. Adapters are available on request. This spacious villa includes a private garden, a private pool and a terrace. 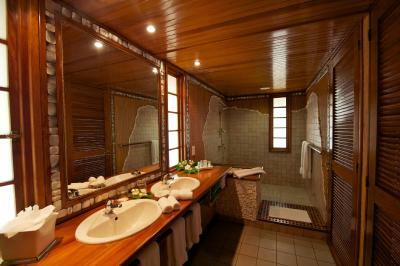 It also has a pavilion and an open-air bath. The bedroom/living/bathroom are combined. Welcome to Rangiroa, Island of the endless lagoon. 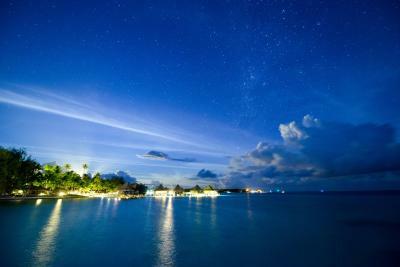 Come to Rangiroa - a paradise of dynamic nature surrounded by the vivid blue lagoon. 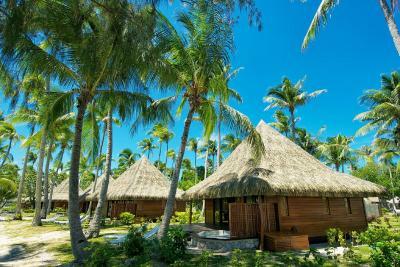 Walk through the palm trees through the entrance to find private guest rooms in traditional Polynesian architectural style. 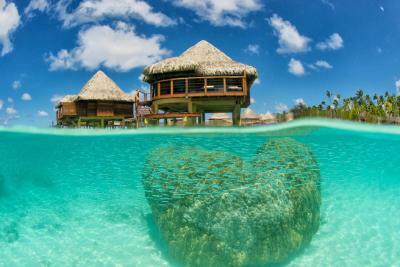 The view of the clear waters of the lagoon behind the rooms glistening in the island sun, will take your breath away. 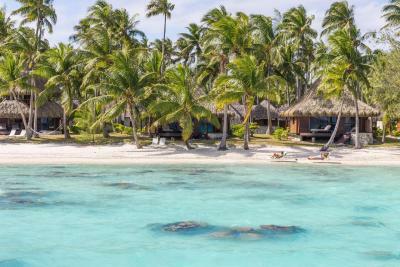 The vivid color and the incredible clarity of the lagoon is fittingly called 'Rangiroa Blue' - spend an unforgettable time in this paradise of the blue lagoon, attracting visitors from around the globe. 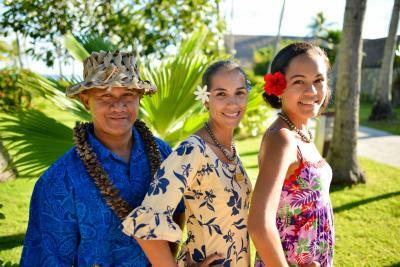 House Rules Hotel Kia Ora Resort & Spa takes special requests – add in the next step! 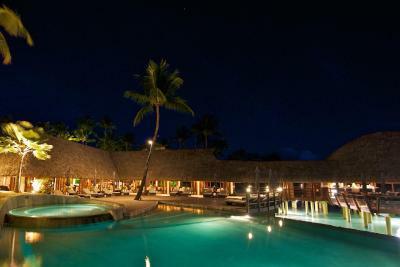 Hotel Kia Ora Resort &amp; Spa accepts these cards and reserves the right to temporarily hold an amount prior to arrival. 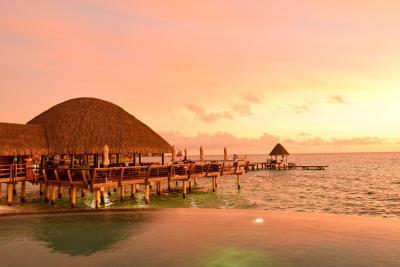 Hotel Kia Ora Resort & Spa accepts these cards and reserves the right to temporarily hold an amount prior to arrival. 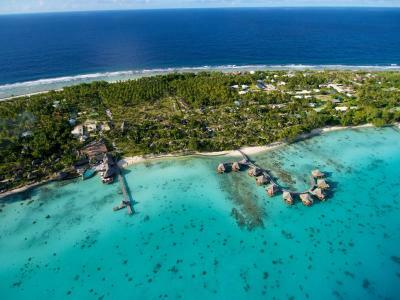 Free transfers (until 31 March, 2019) are available to and from Rangiroa Airport. From 1 April, 2019, the transfer service is available for 2000 XPF per person for round transfer. 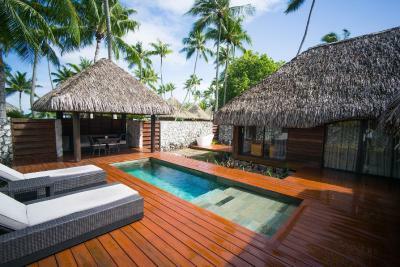 Please inform Hotel Kia Ora Resort & Spa in advance if you want to use this service, using the contact details found on the booking confirmation. 31 December 2018/2019 New Year Eve Dinner - 24 000 cfp per person. March is the hottest month and my room was not cool enough. The beach bungalows (#12) are not closed at the ceiling therefore my room was filled with mosquitos and the one small airco over the bed could not handle the warm & humid temperature of the entire bungalow. It was very uncomfortable. Additionally with a large noisy family next door - which you hear - I immediately asked for an upgrade. AC could have been better, but adequate in sleeping area at night. Room is over priced. We had a deluxe on the beach, 2 rooms, master upstairs was very hot with poor aircon, we ended up moving to the twin room downstairs to keep cool. Lots of mosquitoes! !, we were bitten every night, poor build means mosquitoes can get inside even with doors and windows closed. The gym lacked equipment. Could do with more..
at the checkin we felt a bit like a tourist place for such a nice hotel. We sat down for check in, we received lots of brochures for buying pearls, activities etc. a bit overwhelming and didnt feel like a luxury hotel. But to be fair this was just at checkin! The hotel is gorgeous, the rooms are amazing and the restaurant has really good food. Staff is really nice as well. There is only one restaurant in the resort which gets a little bit boring. 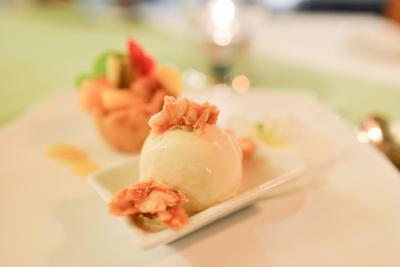 They could benefit from a more casual style dining experience alongside the Formal restaurant, so people can mix things up a bit! The gym was tiny and consisted of two Bikes (neither of which were functioning) and a weights rack. We were worried by a few of the negative reviews on here but we were pleasantly surprised and had a fantastic time! We were picked up from the airport for free (other resorts charged us for this) and greeted with a welcome drink and cold towel- check in was swift and our room was ready immediately. We received a complimentary bottle of wine as we were on honeymoon. 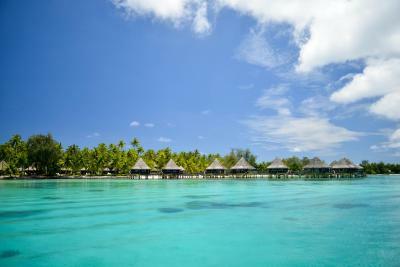 The location is breathtakingly beautiful- the colour of the lagoon is stunning! 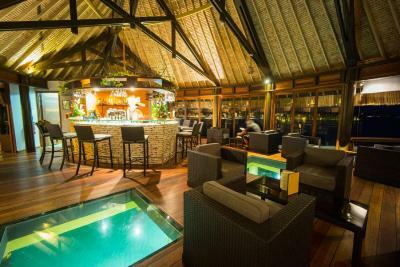 We loved the overwater bar where we could watch the fish and sharks and the cocktails were delicious and cheaper than the other places we had stayed. The food in the restaurant was tasty. The staff were all extremely friendly, especially the activities coordinator who gave us great advice. The blue lagoon tour was exceptional- definitely the highlight of our entire honeymoon. 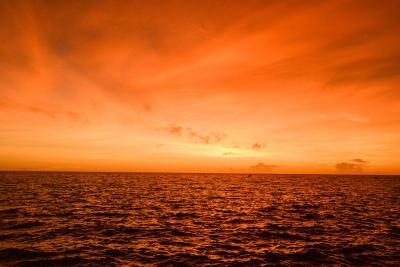 Having the dive centre on site was really convenient and the diving was astounding. We stayed in a garden bungalow with private pool. 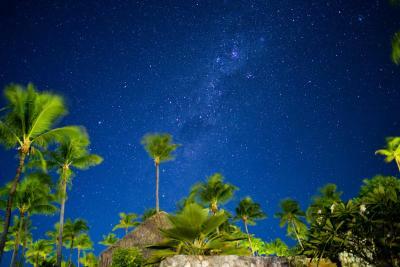 We enjoyed watching the stars and Milky Way from our outdoor bath at night!